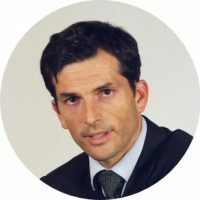 Lionel Martellini is a Professor of Finance at EDHEC Business School, the Director of EDHEC-Risk Institute and Senior Scientific Adviser for ERI Scientific Beta. Lionel holds Master’s Degrees in Business Administration, Economics, Statistics and Mathematics, as well as a PhD in Finance from the Haas School of Business, University of California at Berkeley. He is a former member of the faculty at the Marshall School of Business, University of Southern California, and has been a visiting fellow at the Operations Research and Financial Engineering department at Princeton University. Lionel is a member of the editorial board of The Journal of Portfolio Management, The Journal of Alternative Investments, and The Journal of Retirement. He conducts active research in a broad range of topics including longterm asset allocation decisions, equity and fixed-income portfolio construction, risk management and derivatives valuation. His work has been published in leading academic and practitioner journals and has been featured in major European and global dailies such as The Financial Times and The Wall Street Journal. He has co-authored reference textbooks on topics related to Alternative Investment Strategies and Fixed-Income Securities. Lionel has served as a consultant for various institutional investors, investments banks and asset management firms on a number of questions related to risk and asset allocation decisions, and is a regular speaker in seminars and conferences on these subjects.